So we are pushing back. A coalition of non-partisan faith based organizations is launching a nationwide campaign to physically display our trust in God. 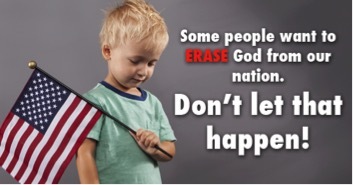 Our goal is to have 1 million Americans display a window cling that reads “In God We Trust” as a declaration of their belief in our countries motto, and their trust in God. 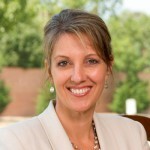 GUEST AVAILABLE: Lea Carawan is the President and Executive Director of the Congressional Prayer Caucus Foundation, Inc. A non-partisan, non-profit organization established to unite and mobilize government leaders nationwide who are committed to protecting religious freedom and preserving America’s Judeo-Christian heritage. She is an executive coach, speaker and consultant. Her career has spanned three decades transitioning seamlessly between entrepreneurship, fashion, consulting, ministry and motherhood. She holds a Bachelor’s degree in Business Administration and a Masters Degree in Theology. How what our founding fathers established is constantly under attack, and by who. Why God is important to the Foundation and Future of America, and what America would be like without him.